BreakingBass: Is Dubstep Real Music And If So Why All The Haters? The technology of today has made it possible for anybody with a way of inputting information into a computer to create music. Those that were raised to believe music a an artform only attained through streneous physical practice with an acoustic instrument will always have a subconscious disdain for music created through electronic means. People are more comfortable with what they are familiar with. There is a generation of people in the industrialized world that were raised from childhood with a computer screen in front of their face and a videogame controller in their hand. Those children have grown up, and are now not afraid to experiment with a wider range of sounds than the older generations of today. To a person that has never heard or seen a computer until adulthood, "digital sounding sounds" are only interpreted as a computer/robot noise or alert. Those are the people that have can only respond to dubstep music with "dubstep sounds like angry robots having relations", sadly their brains can find no musical value in the sounds they are hearing. To a person that grew up using a computer at the same time they picked up their first pencil, the sounds a computer produce are considered arbitrary and customizable. It is for this reason some people can use the computer as a musical instrument, a tool, while others lack this ability. 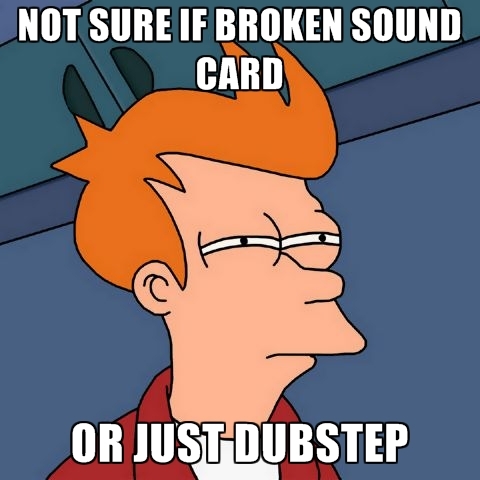 Recently artists of other genres have taken an interest to dubstep due to it's growing popularity. HipHop rapper and producer Kanye West has produced a few songs with Skrillex and one of those tracks are set to be on his upcoming album, this is going to spread a love of dubstep to a huge group of people that may not have found it enjoyable otherwise. Music fusion is a way for fans of two or more genres to get a little taste of a different kind of music in a way that is more palatable for them. As more and more of the population become accustommed to the sort of sounds heard in dubstep, it will eventually become mainstream pop. For now there is still a bitter divide between fans of the music and those who refuse to acknowledge it. They anticipate that their music educators will enable them to compose their own melodies, to ad lib uninhibitedly and to express their melodic creative energy.